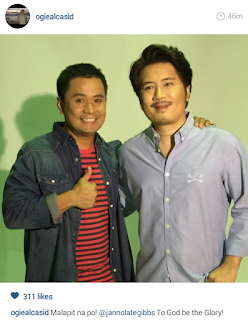 Ogie Alcasid announces on Instagram his upcoming reunion with good pal Janno Gibbs who is reportedly leaving GMA-7 in favor or TV5. James Reid's ex-girlfriend Ericka Villongco reacts on the actor's description of their past relationship. 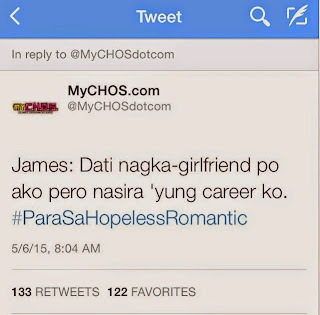 In an interview during the presscon of the movie "Para Sa Hopeless Romantic," James talked about how their relationship made a negative impact on his showbiz career. 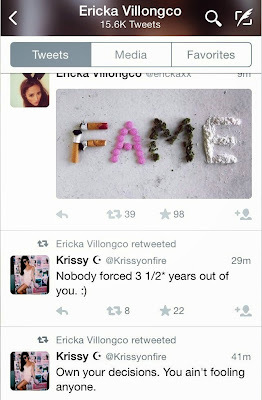 Ericka, on Twitter, posted a photo bearing the word "FAME" insinuating how James' obsession to popularity ruined their relationship, his true self, their friendship (or not). His sister Krissy, on the other hand, posted a comment saying, "Nobody forced 3 1/2 years out of you. Own your decisions. You ain't fooling anyone." Nadine Lustre Undergone Beauty Enhancement? PSHR lead star Nadine Lustre finally clears rumor about her undergone a surgical beauty enhancement. 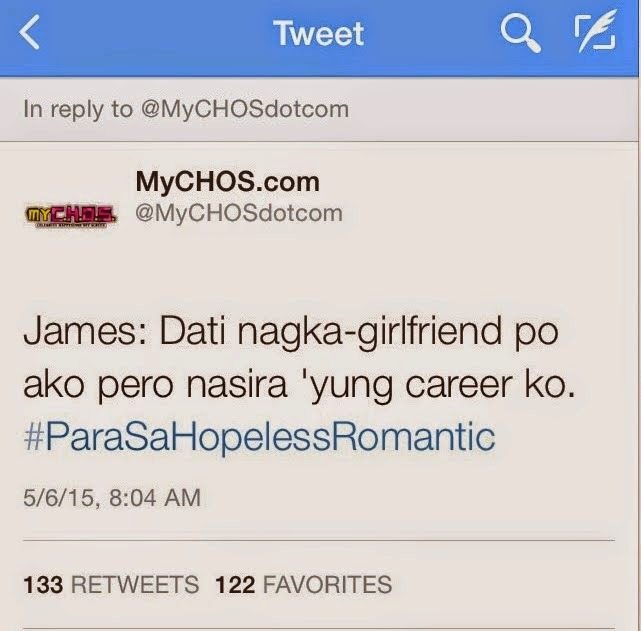 When asked about the rumors, the young star said, "Ako nga 'di ko naalalang nagpagawa ako what more kung sila. May nose daw....pero wala."